1895 - Mrs Mary Ann Wakelin (b. 1837 or 1838, née Conway, from 1886 Mrs William Morter), begging her "not to loose time in looking for a nurse! . as the old Nana of my husband, is to weak & nervous to continue . she is so good & kind, but I fear it is killing & she will break down, one of these days! ", Princess Sophie can reply "yes or No" by telegram, and encloses "a good adress [not present], where the nurse can get her ticket for crossing out . I am so glad you liked the photo . You don't mention Gertrude & John, I hope they are well! With a big hug, your old Sophie", 3 sides 8" x 5" black-edged, Athens, December 30th 1894, modern style Mrs Wakelin was Nanny from about 1860 to the children of the Crown Prince (later Emperor Friedrich III) and Vicky, till 1879, when she went to look after Princess Charlotte's baby Feo. She remarried in 1886 to William Morter of Hampstead. Her children Gertrude and John came out to Potsdam soon after their mother, and Gertrude in particular struck up a long friendship with Princess Charlotte, who was the same age, and with whom she went to school. Princess Sophie had written in November asking if Mrs Morter knew of a nurse for her young sons George (II) and Alexander (I), as the current nurse was "most irritable and severe", and it appears her husband's old nurse had stepped in to fill the gap. Die Heimat. Zeitschrift für Natur- und Landeskunde von Schleswig-Holstein und Hamburg. 2. / ZS 500082 / Es handelt sich um ein Konvolut. Vorhanden sind folgende Jahrgänge: 1895/97, 1896/97, 1898/99, 1900/01, 02/03, 04/05, 08/09, 09/10, 10/11, 12/13, 1933/34, 35/36, 37/38, 49/50, 51/52, 53/54, 57/58, 59/60, 61/62, 63/64, 65/66, 67/68, 70, 71/72, 73/74, 75/76, 77/78 Register: 1831-1943, 1947-1962 u. 1963-1985 Zustand Die ersten Jahrgänge zum Teil mit stärkeren Gebrauchsspuren, insgesamt von guter bis sehr guter Erhaltung. Ordentl. Rechnung inkl. MwSt. Unterricht im Taucherdienst in der k. u. k. Kriegs-Marine - Der Niederdruck-Taucher-Apparat. [lessons for diving in the k. u. k. navy-service]. Sehr selten, sehr spezifisch. Eine echte Besonderheit. Mit 14 farbigen, lithografierten Tafeln zum Ausklappen in sehr gutem Zustand!! Abgebildet sind Ausrüstung wie Pumpe, Lampen, aber auch Tauchvorgänge und Ausrüstungsdetails. Siehe Fotos!! Das Buch bietet aufgrund des Anleitungs-Charakters einen sehr detaillierten Überblick über den Stand der Technik und den Stand des Wissens zur Zeit vor 1895, erhellend auch unter militärischen Aspekten. Darüber hinaus mit Blick auf die Tafeln im Anhang ist das Buch von großer Schönheit. Aus dem Inhalt: Die Beschreibung des Tauchapparates / Die Luftpumpe / Die Schläuche und Manometer / Der Lufttornister / Der Taucheranzug mit dem Helm und die Wollkleider / Die Taucherschuhe und Gewichte / Das Tauchermesser / Sonstige Ausrüstungsgegenstände / Aufstellung und Herrichtung / Ankleiden / Bedienung der Luftpumpe / Instructionen für den Unterricht / Tauchen mit dem Anzuge / Tauchen ohne Anzug / Vorgang bei Arbeiten am Schiffsboden / Instandhaltung / Die Taucherlampen / Beschreibung der Tauchertelefone / Instruktionen für die Hilfeleistung bei verunglückten Tauchern. Das Buch befindet sich in einem guten Zustand. Ecken und Kanten etwas berieben und bestoßen, angestaubt. Innen sauber. Auf dem Deckel und dem Titelblatt ist die Zeile 1.Theil verlagsseitig durchgestrichen (siehe Foto). Vorsatz etwas finger- oder stockfleckig. Innen sauber u. gepflegt. Bindung fest. Vollständig. Sehr schönes Exemplar dieses Rarissimums. Handschriftlicher Vermerk mit Bleistift am Innendeckel, dass ein gewisser Staniek das Buch in der Kabine des Chefarztes vergessen hat. Mit zahlreichen Tafeln zum Ausklappen im Anhang mit farbigen Darstellungen von technischem Gerät, siehe Fotos. Die Tafeln sind in sehr gutem Zustand, wie das ganze Buch. Die Fotos sind Teil der Bildbeschreibung. The book is in good condition. Complete! See photographs! Do not hesitate to ask questions, before ordering. The photographs are part of the description. Lehrbuch Unterrichtsbuch - Lehrgang - Österreich- Ungarn Habsburger Monarchie Kriegsmarine Kampfschiff Schlachtschiff Ära Dreadnought Panzerkreuzer Triest Pola U-Boot Unterseeboot Tauchen Tauchlehrgang Marinetaucher Marinetauchen Kampftaucher Kampftauchen Taucherglocke Militär Flotte militärisches Tauchen 19. Jahrhundert kaiserliche Marine Erster Weltkrieg WW1. 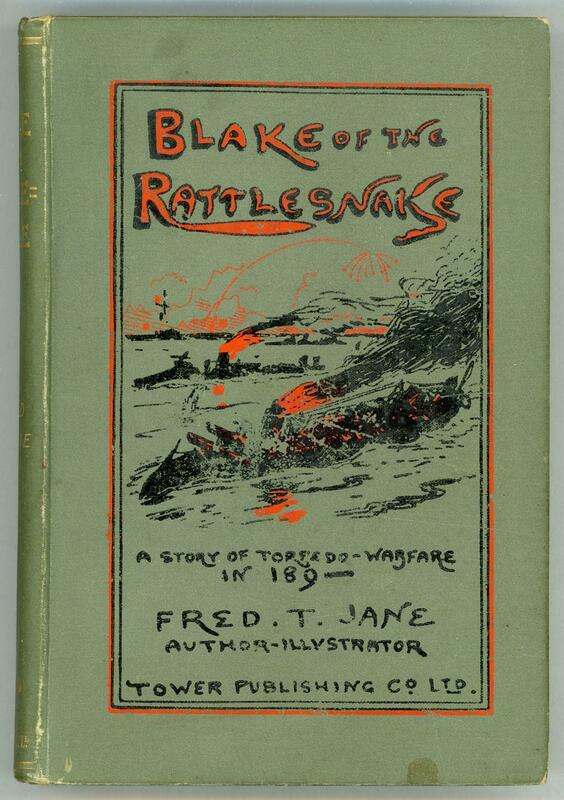 BLAKE OF THE "RATTLESNAKE" OR THE MAN WHO SAVED ENGLAND: A STORY OF TORPEDO WARFARE IN 189- . Boston:: Houghton, Mifflin & Co.,. Very Good. 1895. Hardcover. B0195L1IJQ . With color pictures and illuminations by Childe Hassam, including twelve tissue-guarded plates. An early printing. Tipped onto the front paste-down is a single sheet with the author's poem, "Song: A bird upon a rosy bough..." - written in the author's hand and SIGNED. Octavo, bound in green cloth with gilt lettering and decorations, top edge gilt. Moderate shelf wear and aging, age darkened/foxed along the spine, two previous owners' book-plates on front paste-down (beneath the tipped sheet), newspaper article announcing a previous owner's wedding affixed to front free endpaper, else very good. Binding is solid. ; 126 pages . 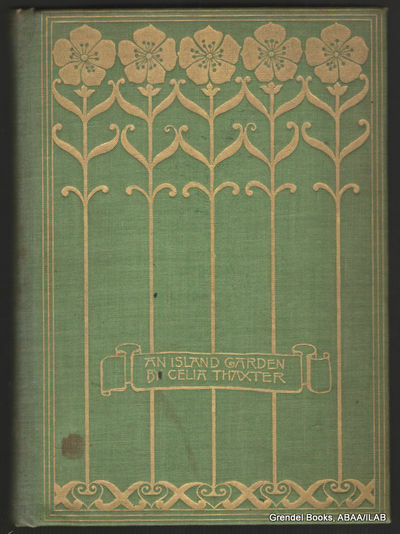 A first edition, first printing published Blackwood in 1895. A near fine book with one small name to the front endpaper. Beneath is the name 'Charles G. Falkner' - a family member of Falkner. The book has the catalogue with 11/95 to the rear. Corners a little rubbed. Titles are much stronger than is usual found. Small tear to page 94 caused by a production fault.A very nice copy of the author's first book. London: James R. Osgood, McIlvaine & Co.,, . With an Etching by H. Macbeth-Raeburn and a Map of Wessex. Octavo. Original vertical-ribbed green cloth, titles to spine gilt, gilt roundel of Hardy's monogram within a floral wreath on front cover, top edge gilt, others untrimmed. Etched frontispiece with captioned tissue guard by H. Macbeth-Raeburn, map at the end. Pencil ownership inscription and booksellers blind stamp to head of front free endpaper. Spine gently rolled, light bumps to extremities, small fade mark to front panel, light foxing to pastedowns. First edition in book form, first state, with all 17 pages noted by Purdy retaining their pagination: uncommon thus. 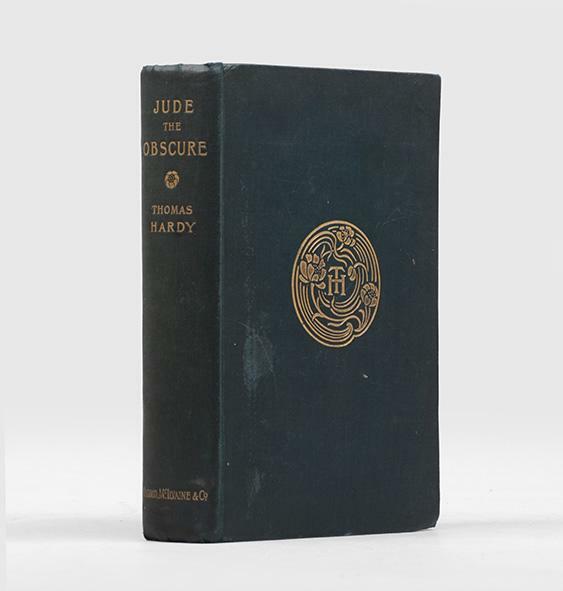 Hardy's last novel originally appeared as a bowdlerised serial in Harper's Magazine from December 1894 to November 1895, when the European and American editions were published simultaneously in London and New York, and post-dated 1896. "The records of neither printer nor publisher have survived in the case of Jude, but from Osgood, McIlvaine's advertisement Â… (Saturday Review, 15 February 1896), it is apparent that there was more than one impression of the novel. It is difficult to say if these are distinguishable. Signature AÂ–H do exist in two distinct states, howeverÂ—with page numbers on partially blank pages and (conforming to usage throughout the remainder of the volume) without these. These 8 signatures are often found mixed (first and second state) Â… [but] all are first state in the first state in Hardy's own copy, 5 presentation copies inscribed by him in November 1895, and in the British Musuem, Bodleian, and Cambridge copies Â… Signatures A-H in the first state may possibly be an indication, therefore, of the first impression" (Purdy). THE VICTORY IN SPECIAL SESSIONS. 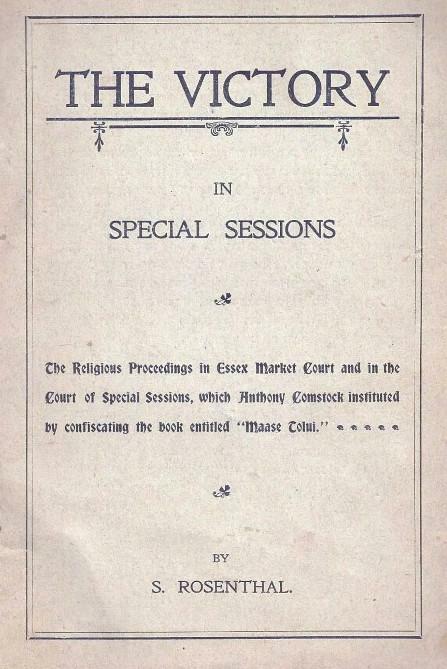 THE RELIGIOUS PROCEEDINGS IN ESSEX MARKET COURT AND IN THE COURT OF SPECIAL SESSIONS, WHICH ANTHONY COMSTOCK INSTITUTED BY CONFISCATING THE BOOK ENTITLED &#145;MAASE TOLUI.&#146; HA-NITSAHON: DER UNGEHAYERER GROYSER ZIEG FUN YUDENTHUM IBER KRISTENTHUM . VELKHE HOBEN ARRESTIRT DI TSVAY HISTORISHE IDISHE BIKHER "MAYSEY TOLOY" UN YESHUA HANOYTSRI. New York and London: The Knickerbocker Press for G. P. Putnam's Sons, 1895. 2 volumes. The Buckthorne Edition. With 25 illustrations, including five by Arthur Rackham. The text set within elaborately designed borders printed in blue-gray and red, and with black and white head- and tail-pieces and multi-line pictorially illustrated capitals. Illustratiions reproduce Rackham paintings and also include gravures. 8vo, original gilt lettered and elaborately decorated blue cloth, with elaborate and extensive art nouveau decorations of green and gilt, blue and black on the spines and upper covers, t.e.g. The bindings are signed GWE (George Wharton Edwards). A very early Rackham illustrated work. The original cloth protective dustjackets are also present here. [viii],, 316; [viii], 312 pp. A very fine and handsome set, bright and clean and unusually well preserved. BEAUTIFULLY DECORATED AND BOUND IN DELUXE CLOTH GILT. 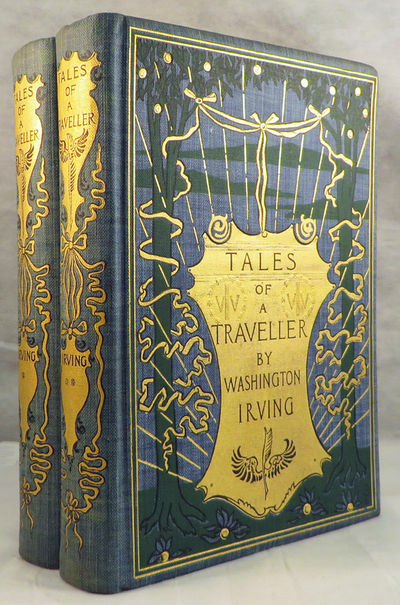 A PLEASING COPY WASHINGTON IRVING’S CLASSIC WORK. After the runaway success of THE SKETCH BOOK, also published under the Crayon pseudonym, Irving became quite the literary celebrity in Europe. He was lionized by both the English and French and for several years the intimate of such notable men of letters as Scott, Byron and Moore. In fact, it is said that he vied with Payne for the affections of Mary Wollstonecraft Shelley. During this time he traveled Europe extensively always looking for material for his writing endeavors. After a period of living in Dresden and Paris he returned to London to publish these TALES OF A TRAVELLER in 1824. This is the beautifully illustrated and highly decorated Buckthorne Edition. Leçons sur les maladies nerveuses (Salpêtrière, 1893-94). Recueillies et publiées par Henry Meige. [avec :] Leçons sur les maladies nerveuses. Deuxième série (Hôpital Saint-Antoine). Paris, G. Masson, 1895-99. ____ Première édition des leçons de Brissaud, disciple de Charcot. Rare complet des deux séries. Illustré par 405 figures dans le texte (dessins et photos). "Edouard Brissaud, like Raymond a superb clinical neurologist, was professor of medecine of the faculty of Medecine. From his clinical and neuropathological work at the Salpêtrière, he was able to set forth the double innervation of the face. Brissaud pointed out the disassiociation between voluntary and mimetic expresssion as seen in cases of pseudobulbar palsy in contrast to the mask facies of parkinsonism (1895-99). His studies of parkinsonism are in the second volume (1899) of his textbok of nervous disease." Garrison's History of neurology 294. Envois manuscrits sur les faux-titres : "A mon cher maître et ami le professeur Joffroy. Très amicalement. E. Brissaud". 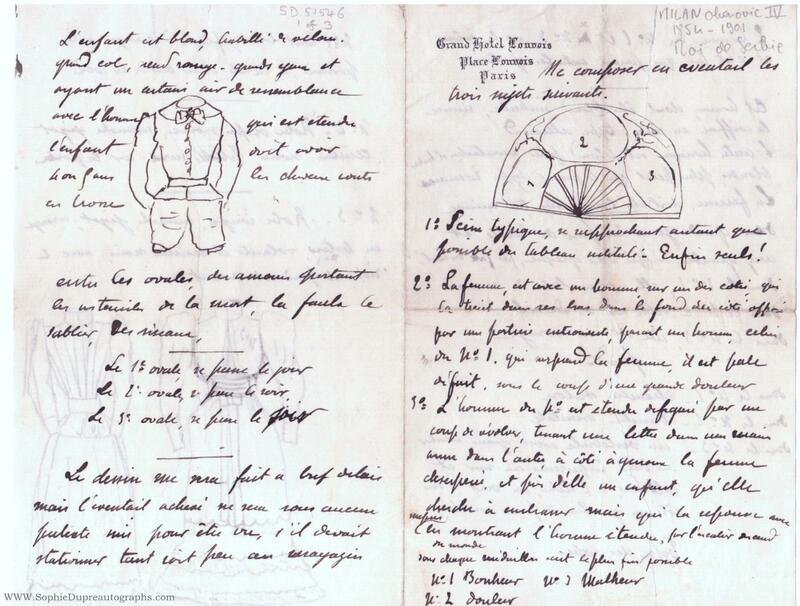 Alexis Joffroy, (1844-1908), élève et collaborateur de Charcot, était professeur à la Faculté de médecine de Paris, membre de l'Académie de médecine et médecin à l'Asile de Saint-Anne. Avec Charcot, il décrivit les lésions pathologiques dans l'atrophie musculaire progressive et la poliomyélite. (Voir Garrison-Morton 4665 et 4740). *****. 2 volumes grand in-8. [233 x 155 mm] Collation : (4), III, (1), 644 pp. / (4), 560 pp. Demi-basane noire, dos à nerfs, tranches mouchetées. (Reliure de l'époque.). KLEURRIJK BEELD VAN DE BELLE ÉPOQUEAffiches uit de Belle Époque op klein formaat. Uit Les Maîtres de l'Affiche: publication mensuelle contenant la reproduction des plus belles affiches illustrées des grands artistes, français et étrangers. Lithografieën in kleur vervaardigd tussen 1895-1900.Rond het jaar 1890 waren gelithografeerde affiches op groot formaat een opkomend fenomeen en hét nieuwe medium om ophanden zijnde voorstellingen in het theater, het circus, dansvoorstellingen en het variété onder de aandacht van het publiek te brengen. Ze werden door schilders en kunstenaars, die zich tot dan ook lieten verleiden tot zeer uiteenlopende ontwerpen, met veel enthousiasme als een nieuwe kunstuiting omarmd. Deze affiches vormen ook vandaag de dag nog ons beeld van de Belle Époque.De bakermat voor deze nieuwe rage lag zonder twijfel in Parijs, waar Jules Chéret zich als de ware meester van deze nieuwe kunst ontpopte, zowel zijn ontwerpen als de gebruikte techniek waren génial.Op de wereldtentoonstelling van 1889 werd Jules Chéret geëerd met een eigen tentoonstelling waarbij hij voor zijn oeuvre tot dan toe een gouden medaille ontving. Deze tentoonstelling was voor het grote publiek tevens een eerste kennismaking met het fenomeen affiche. Hierna volgde een succes dat zijn weerga niet kende. Op speciaal daarvoor opgerichte zuilen en andere oppervlakten die zich er voor leenden, werden de vaak immens grote affiches geplakt. Deze nieuwe straatkunst bracht ook een enorme verzamelwoede op gang. De populariteit van deze ?fresco?s van het trottoir?, zoals het affiche bewonderend werd genoemd, gold echter niet alleen voor de aankondigingen van de diverse culturele manifestaties. Het medium werd ook gezien als een interessante vorm van betaalbare kunst voor het grote publiek en gaf bovendien de kunsthandel een nieuwe impuls.Inspelend op dit grote succes, ontstond in 1895 op initiatief van Jules Chéret in samenwerking met Impremerie Chaix de serie publicaties van ?Les Maîtres de l?Affiche?. 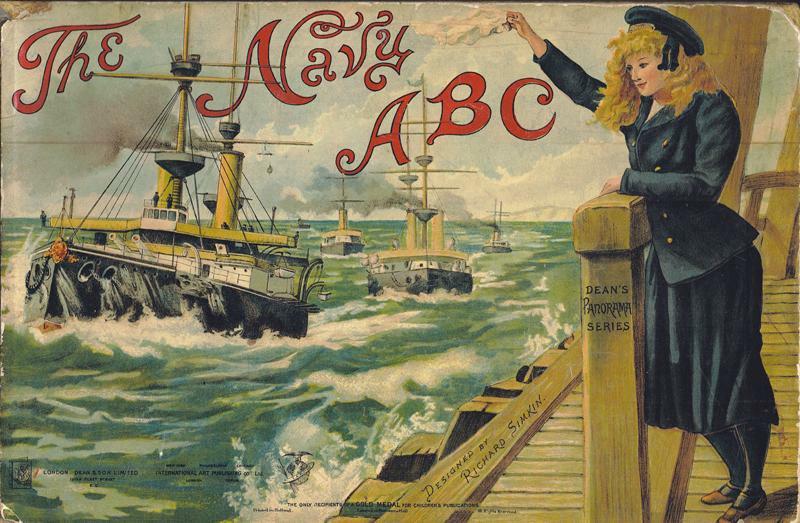 Men kon zich abonneren op deze serie, op klein formaat los in mappen uitgegeven affiches, driemaandelijks van december 1895 tot november 1900 uitkwam. In een oplage van vier stuks per maand zijn er in de vijf jaar van het bestaan 240 affiches uitgegeven. Bovendien werden speciaal voor abonnees van Les Maîtres door verschillende kunstenaars speciale affiches ontworpen zonder aankondiging of reclameopdruk.Het papier waarop ze gedrukt werden was van zeer hoge kwaliteit. Dit in tegenstelling tot de reguliere grote affiches, die op een mindere kwaliteit papier werden gedrukt, maar dan ook een ander doel dienden. De mooie heldere afbeeldingen van Les Maîtres de l?Affiche geven een interessant beeld van wat er zich op het gebied van het culturele leven, gezien door de ogen van diverse bekende kunstenaars, aan het einde van de 19de-eeuw afspeelde.Prijs: ?575,- (per stuk incl. lijst). (Hammersmith: Kelmscott Press, 1895. Morris, William. Three octavo volumes. 399; 412; 421pp. One of 250 copies. 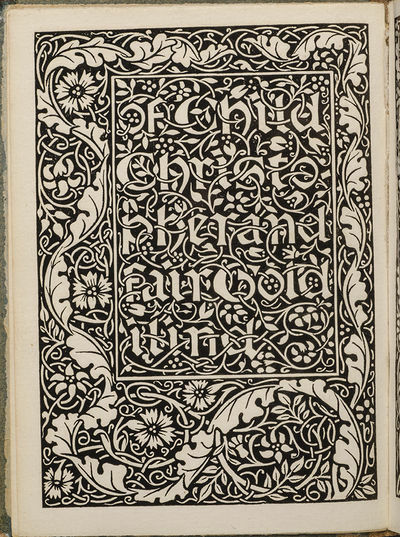 Ornate wood-engraved double-page opening in Volume I and initials and borders throughout the three volumes by William Morris. In a letter to a friend in 1855, William Morris wrote that he had just been reading Shelley's works and that he liked what he had read very much. 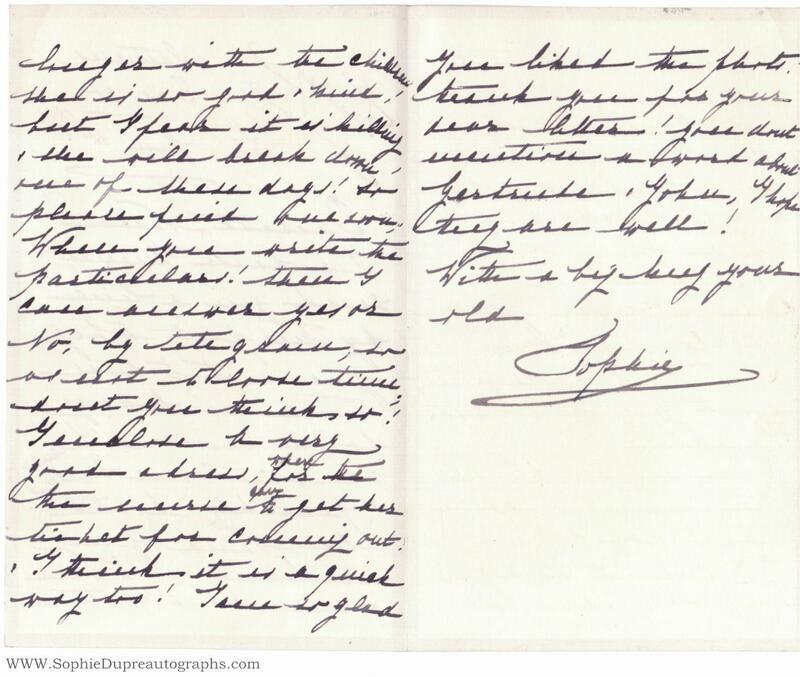 He was particularly impressed by the poet's ode "To a Skylark," writing, "WHAT a gorgeous thing it is! utterly different to anything else I ever read... 'The Skylark' makes one feel happy only; I suppose because it is nearly all music..." This set in lovely matched bindings by G.P. Putnam's Sons Knickerbocker Press of gilt-stamped full green morocco. Gilt rule borders frame a central panel filled with a repeating "S" design, decorated with dots, flowers, and hints of leaves. Spine in six compartments with five raised bands. Gilt turn-ins highlight brown leather doublures. Binding signed "G.P. Putnam and Sons" on the lower front turn-in and "The Knickerbocker Press" on the lower rear turn-in. T.e.g. Each volume is protected by lined cloth jackets, and they are housed together in a slipcase. 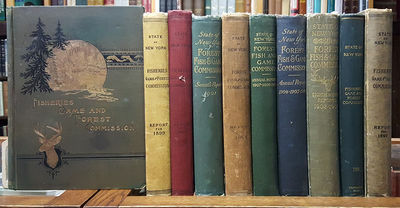 In addition to publishing books, the Albany-based Knickerbocker Press also produced fine bindings on par with British contemporaries Prideaux and Rivière. Bookplate of Veryl Preston, designed in 1902 by artist Joseph Winfred Spenceley. Preston was a Vice President of the American Steel Hoop Company, and held a high position in the steel trust after the company's absorption. Spines a bit darkened, else a fine set in beautiful bindings. (Peterson A29). Ferdinando Ongania editore, VENEZIA 1895 - ITALIANO Imponente volume con mezza legatura in pelle e tessuto con titoli oro al dorso e raffinata illustrazione al piatto anteriore. Segni del tempo al dorso. Indice a due colori rosso e nero con capilettera ornati in rosso. Dedica al frontespizio datata 1915 non firmata. Fioritura alle pagine. Presenti 100 fotoincisioni protette da velina. 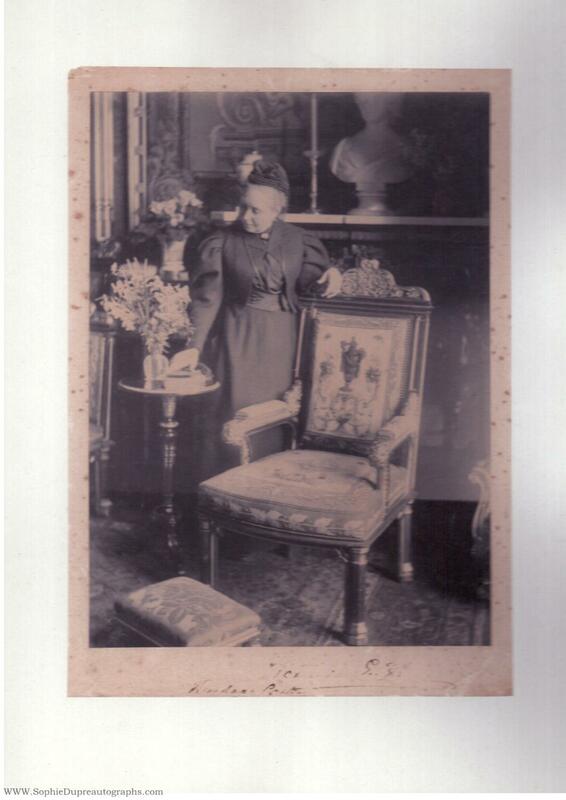 1895 - showing her full length standing by a chair, looking at a bunch of flowers, 8" x 6" in mount 9" x 6½", Windsor Castle, no date, c. the writing though legible is very faded with loss of some of the signature During her last years she repeatedly visited England, and on 22 June 1897 she took part in Queen Victoria's Diamond Jubilee procession. Second printing thus. 8vo. (xxviii), 476, (2) pp. Publisher's ornately gilt decorated green cloth with a peacock design to the upper board and spine, all edges gilt. Numerous illustrations. A lovely, bright copy. 1895. Signed. BARRIE, J.M. Auld Licht Idylls. London: Hodder and Stoughton, 1895. Quarto, early 20th-century full polished maroon calf gilt, raised bands, brown morocco spine labels, marbled endpapers, top edge gilt. 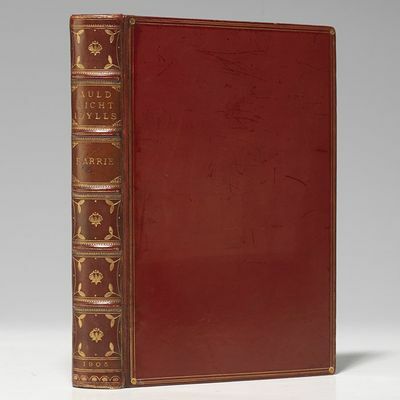 $2500.Limited signed edition (tenth overall) of BarrieÂ’s collected sketches rural Scottish village life, number 77 of 550 copies signed by both Barrie and illustrator William Hole, handsomely bound by Root &amp; Son.Originally penned for the London evening paper the St James' Gazette, Barrie's engaging descriptions of ""the life and humors of his native village, idealized as 'Thrums'"" (Britannica), reflect not only his own childhood observations but also his mother's fond memories of pre-industrial Scotland. These winsome stories are among Barrie's earliest published writings, gems from his literary apprenticeship; they helped establish him as ""fashionable and best-selling"" (Carpenter &amp; Prichard, 46), and paved the way for the novels and playsÂ—especially those starring his most famous character, Peter PanÂ—that won him enduring fame. First published 1888. This edition illustrated with title page vignette and 17 full-page engraved plates by William Hole, ""best known as an illustrator of Scottish subjects"" (Houfe, 178). Binding misdated 1905. Original cloth bound in. Interior crisp and clean. Joints expertly repaired and restored. An elegant signed copy. - Léon Vanier, Paris 1895, 11,5x18,5cm, relié. - Collettiva Edition nella parte originale della carta corrente. Bound in mezzo marocchino rosso, liscio di nuovo con un motivo floreale oro, dorato data coda dorata netta sui piatti di carta marmorizzata piatti, guardie e contreplats di carta fatta a mano, coperte conservati, testa dorata, vincolante tempo firmato Bonleu. In questa edizione, edizione originale è apparso in cinque poesie di Illuminations "Fata", "Guerra", "Ingegneria", "Gioventù I" e "Balance". Libro illustrato frontespizio di due disegni dal rappresentante Arthur Rimbaud Verlaine. Importante prefazione originale di Paul Verlaine. esemplare piacevoli immersi in un affascinante firmato vincolante del tempo. - [FRENCH VERSION FOLLOWS] Edition collective en grande partie originale, 10 poèmes paraissent pour la première fois : Les Étrennes des orphelins, Patience, Jeune ménage, Mémoire, Est-elle almée, Fairy, Guerre, Génie, Jeunesse, Solde - les 5 derniers "rattachés" aux Illuminations. Importante préface originale de Paul Verlaine. Reliure en demi maroquin rouge, dos lisse orné d'un motif floral doré, date dorée en queue, filet doré sur les plats de plats de papier marbré, gardes et contreplats de papier à la cuve, couvertures conservées, tête dorée, reliure de l'époque signée de Bonleu. Ouvrage illustré en frontispice de deux dessins d'après Verlaine représentant Arthur Rimbaud. Très joli exemplaire parfaitement établi en reliure signée de l'époque. Boston & New York: Houghton Mifflin Company, 1895. The Riverside Edition. 3 vols. 8vo. 3/4 blue morocco over cloth boards, t.e.g.. Spines slightly toned. The Riverside Edition. 3 vols. 8vo. 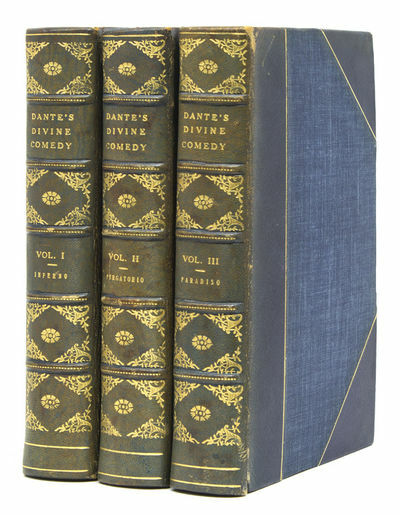 The Divine Comedy, Beautifully Bound. Albany, NY: Various Printers. 1895-1909. First Edition. Hardcover. A nice ten volume set comprising the years from 1895 to 1909. Cloth. Profusely illustrated with color plates of fish and game, and b&w illustrations. The average condition is very good. All original bindings except for 1897 that was rebound. ; Quarto . London: Downey and Co., . FIRST EDITION. Octavo, pp. 238; 6 [advertisements]. 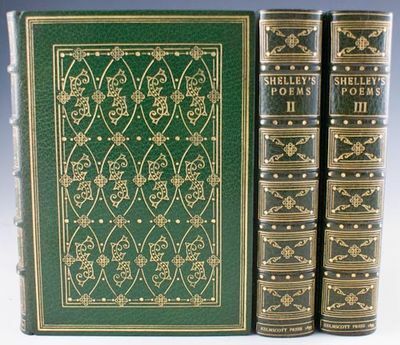 Handsomely bound in publisher's bottle green cloth, lavishly gilded and decorated to spine and boards. Front board features a repeated bat design in stamped in black to background, with wrought metal household features stamped in gilt in foreground, black endpapers. Cloth boards in excellent condition with majority of generous decoration sharp, some loss of detail to parts (particularly gilt), spine is exceptionally well-preserved excepting pushed endcaps, which are a little frayed. All corners bumped, a little edgeworn, gilt top edge dulled, fore edge and tail edge deckled. Mostly clean throughout with some marginal spotting in places, pencil ownership to front flyleaf. Illustrated with wonderfully Gothic scenes throughout by Brinsley Le Fanu. A handsome copy of this scarce supernatural tale, produced by the leading ghost-story writer of the nineteenth century. Ottawa, KS: Ottawa [Star] Nurseries, printed by Rochester Lithographing Co., Rochester, NY, , 1895. [Specimen book, or salesman's sample catalogue comprised of fine coloured horticultural and floricultural plates]. Octavo (213 × 140 mm). Contemporary burgundy half skiver, black pebble-grained cloth boards, title gilt to the front board. 59 chromolithographic plates, 7 hand-coloured Theorem plates, 1 other colour plate. Typically somewhat used, externally rubbed and soiled, spine eroded and splitting, corners through, joints holding, hinges lined with linen, but the contents remaining clean and sound. First edition, thus, of this specimen book, or salesman's sample catalogue for the Ottawa Star Nurseries in the 1890s. In the latter half of the nineteenth century, and into the twentieth, Rochester, NY was the centre of the American in the nursery business, and colour printing firms like Rochester Litho., Dewey, Stecher, and Vredenburg, specialised in producing pocket-sized portfolios for nurserymen, or salesmen, tailoring them to the individual local markets, offering different varieties of fruits and flowers in each. Of particular interest in this beautiful Ottawa, Kansas catalogue are the colour Theorem plates - each printed with a number of stencils, in pochoir style, then finished by hand in water-colour, creating a remarkably luminous effect, these include the Missouri Mammoth Quince, the Willard Plum, Japanese Botan Plum, Future Great Peach, Russian Alexander Apricot, and the Early Cluster Blackberries. The catalogue includes chromolithograph plates of varieties of cherries - Large Montmorency, Lieb, Ostheim, Early Richmond - apples - Bismarck, Downing's Winter Maiden Blush, Red Beitigheimer, Missouri Pippin, Wolf River - pears - Garber's Hybrid or Birkett, Seckel, Flemish Beauty, Kieffer's Hybrid, Duchess D'Angouleme - plums including the Burbank Plum developed in the 1890s, grapes - Niagara, Worden, Prentiss - gooseberries, blackberries, the Kansas Raspberry, strawberries - Senator Dunlap, Warfield, Finch - varieties of plants including Altheas, Purple and White Lilac, Roses - Crimson Rambler, Yellow Rambler, Queen of the Prairie, General Washington - Hydrangeas, and spruce trees. The plates were grouped in sections to aid the salesman, or nursery, in showing the prospective customer the best items for them. Since they were such expensive productions, the owners of the specimen books were instructed to not allow customers with dirty hands to touch the books, avoid getting them wet, and if it should get soiled at the edges, have it cut and rebound again. Many nurserymen would rebind their catalogues as often as every two years. This catalogue offers an invaluable reference to the hardy varieties tested on the American Prairie and West in the nineteenth century, entirely different to those typically seen offered in East Coast specimen books (see Kabelac, "Nineteenth-Century Rochester Fruit and Flower Plates" in University of Rochester Library Bulletin, Vol. XXXV, 1982). Frank Haskins Stannard (1857-1922), the founder and proprietor of Ottawa Star Nurseries studied in Jamestown, NY under a number of nurserymen, and in 1879 emigrated to Kansas. Once there he immediately began buying up acreage, eventually accumulating over 500 acres in Ottawa, Kansas, which would not only become the largest nursery and seed supplier in the state, but went on to become the largest in the West. Stannard's client-base was largely to be found in Missouri, Iowa, Nebraska, Kansas, Colorado, Oklahoma, and Texas. By 1900 he was shipping over 45,000 bushels a year, and would later become a Republican State Senator in 1906 and 1908. (Kansas: A Cyclopedia of State History, Vol. III, Part 2, pp. 1030-1). Mental Development in the Child and the Race. Methods and Processes. 1895. BRADLEY, Will H. Original cover design for The Echo magazine. [Chicago]: The Echo, [circa 1895]. Original pencil and watercolor magazine cover design highlighted in gouache on card, signed Will H. Bradley at lower left. Artwork measures 5-1/2 by 8 inches; gilt matted and framed, entire piece measures 13 by 16 inches. $18,500.Beautiful original magazine cover design artwork in watercolor and pencil highlighted in gouache, by noted Art Nouveau artist Will H. Bradley.A stunning original magazine cover design in delicate monotones by Will H. Bradley (18681962), one of the foremost American Art Nouveau designers of his time, known for his advertising posters and book and magazine illustrations. The Echo, a humorous and artistic fortnightly was advertised as Chicagos new paper in which will appear a series of colored frontispieces by Will H. Bradley. It began publication in May 1895 and ceased in July 1897. Bradley was well acquainted with the stylistic innovations of his European counterparts. Like many French artists, he borrowed stylistic elements from Japanese prints, working in flat, broad color planes and cropped forms. He appropriated the whiplash curves of the Art Nouveau movement so dominant in Europe at the turn of the century and was influenced by the work of the English illustrator Aubrey Beardsley (www.willbradley.com). 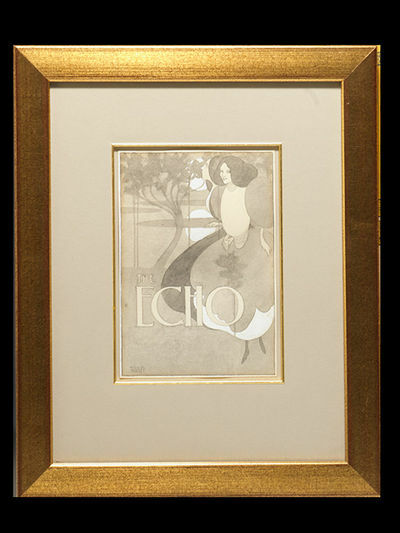 With an original lithograph poster advertisement for The Echo based on Bradleys drawing, measuring 21-1/2 x 14-1/2 inches. A superb example of Bradleys artistry, handsomely framed. Chicago & New York: F. Tennyson Neely, 1895. 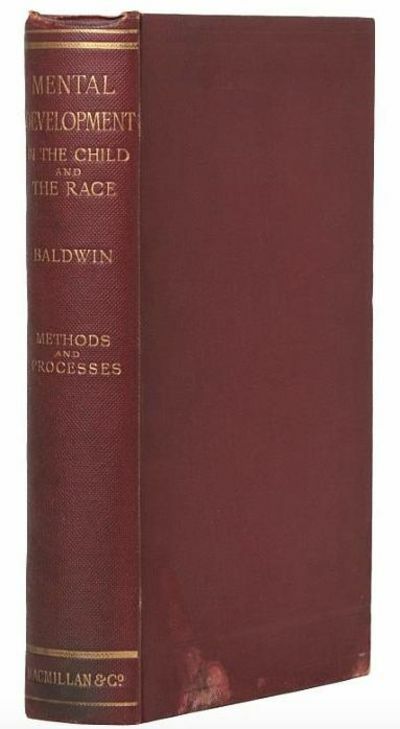 First Edition, first issue binding. [ii], 316, [1, ad (verso blank)] pp. 1 vols. 12mo. Green cloth titled in brown, upper board with lizard design and "Neely's Prismatic Library" , t.e.g. Slightest traces of rubbing at foot. Fine, fresh copy. With bookplate of Blairhame. In cloth slipcase and chemise. 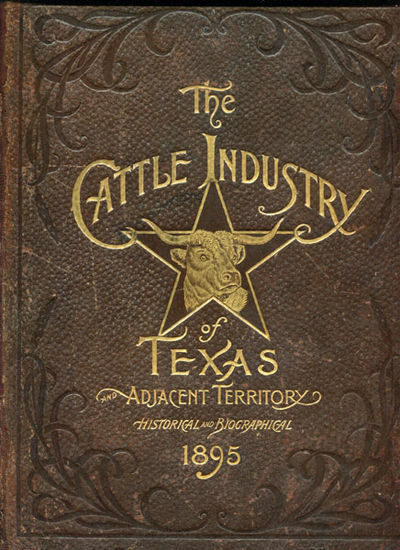 First Edition, first issue binding. [ii], 316, [1, ad (verso blank)] pp. 1 vols. 12mo. 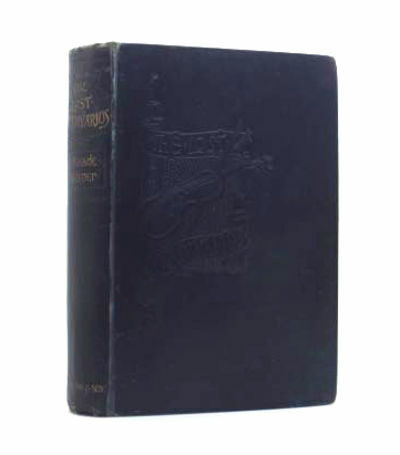 Inscribed by the publisher "Faithfully yours F. Tennyson Neely March 1895." A cornerstone of modern horror and fantasy and a book that has fascinated authors from H.P. Lovecraft to James Blish. Chambers (1865-1933) was a prolific and perennially popular author of historical romances set in France during the Franco-Prussian War and in rural New York during the American Revolution. Profoundly influential, and effectively his only contribution to the genre. Bleiler has called this book "One of the most important works of supernatural horror between Edgar Allan Poe and modern horror fiction"
Hammersmith: The Kelmscott Press, 1895. "Quite The Most Charming Things Issued From My Press"
[KELMSCOTT PRESS]. MORRIS, William. Child Christopher and Goldilind the Fair. [Hammersmith: The Kelmscott Press, 1895]. One of 600 paper copies of an edition of 612. Two sixteenmo volumes (5 5/8 x 4 in; 143 x 111 mm). [6, blank]], , 256, ; [8, blank], , 239, [3, blank] pp. Original holland-backed blue paper boards. Spine labels just a tiny bit of edge wear not affecting text, very light wear to corners, but still a far better copy of this charming little pair than is usually seen. With the erratum slip at the end of volume I "only inserted in some copies" (Peterson). With the decorative bookplate of Harry C. Goebel on each front paste-down. 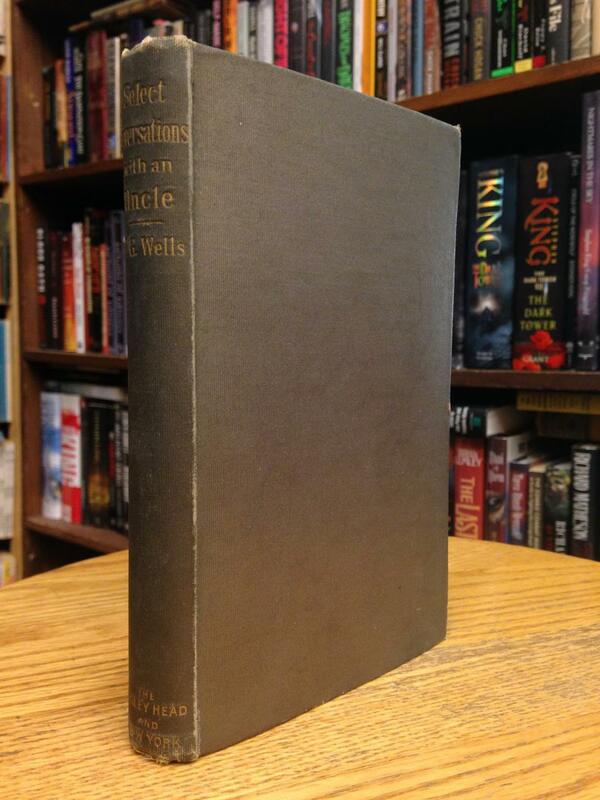 "When you come to look at it, and see that you get a book like this…it would be impossible to refuse buying them. I love my books, and I love making them, and I think these little octavos [sic] quite the most charming things issued from my press" (Morris, Ideal Book, p. 113, as cited by Peterson). Child Christopher and Goldilind the Fair is a fantasy novel by William Morris, perhaps the first modern fantasy writer to unite an imaginary world with the element of the supernatural, and thus the precursor of much of present-day fantasy literature. It was first published in hardcover by Morris' Kelmscott Press in 1895. Child Christopher and Goldilind the Fair, set in the forested land of Oakenrealm, was Morris' re-imagining and recasting of the medieval Lay of Havelock the Dane, with his displaced royal heirs Christopher and Goldilind standing in for the original story's Havelock and Goldborough. - Charpentier, Paris 1895, 12x18,5cm, relié. - Edizione originale sulla carta corrente. Il legame con la carta bradel floreale pieno, morbido di nuovo, elegante pastiche vincolante firmato P. Goy & C. Vilaine. 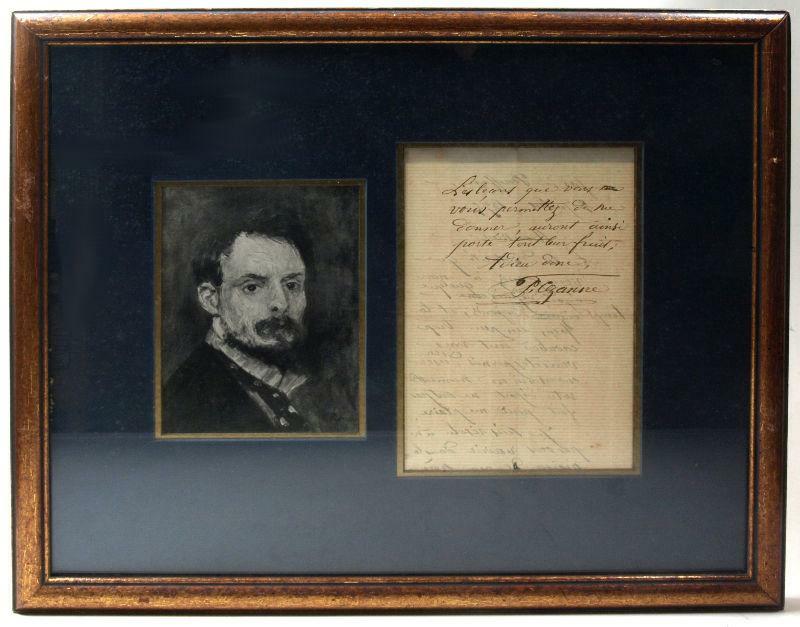 autografo firmato di Georges Clemenceau Emile Deshayes. Copia piacevolmente stabilito. - [FRENCH VERSION FOLLOWS] Edition originale sur papier courant. Reliure à la bradel en plein papier à motifs floraux, dos lisse, élégante reliure pastiche signée de P. Goy & C. Vilaine. 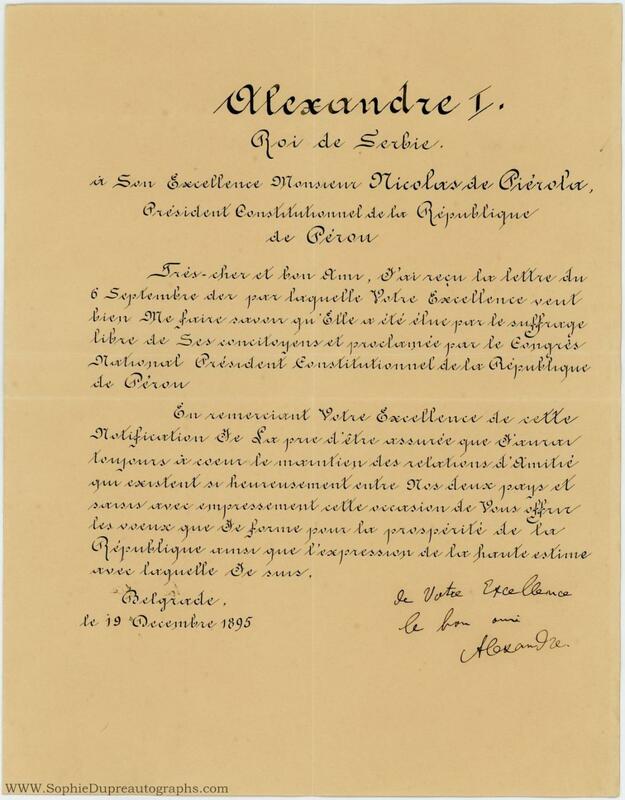 Envoi autographe signé de Georges Clémenceau à Emile Deshayes. Exemplaire agréablement établi. 1895. [a Heinemann "H.S. Wells" copy] An Invention. London: William Heinemann, 1895. 32 pp undated ads. Original beige-grey cloth decorated in purple. First English Edition, later -- but highly unusual -- binding state, of H.G. 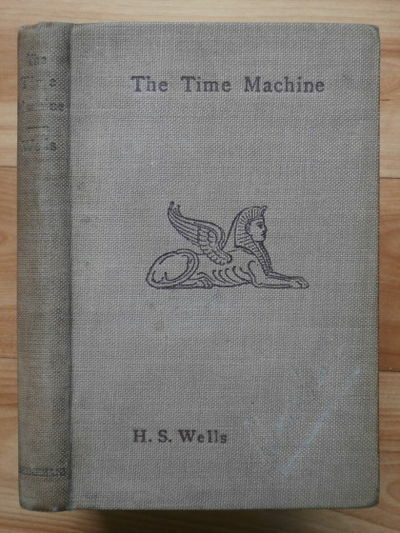 Wells's first and best-known tale of science fiction. This is Wells's famous tale about the Time Traveller's expedition to the year 802,701 AD, where he discovers that two species of humans have evolved -- the Eloi (vegetarians of limited intelligence, to whom toil and violence are unknown) and the Morlocks (carnivores dwelling below ground, who "farm" the Eloi for consumption). "Capital and labour have thus produced their logical results" [Smith].~This copy, at first glance, conforms to Currey's binding "C" -- beige-grey cloth decorated in purple, the binding 18.2cm tall, the fore-edge of the leaves uncut, 32 pages of ads leading off with THE OPEN QUESTION and including THE WAR OF THE WORLDS (not published until 1898). (There are also bindings "D", "E" and "F", later than "C". )~However -- on the front cover the author's name is mistakenly printed as "H.S. Wells." Henry Holt's American edition (which came out three months earlier than Heinemann's, and has significant differences in text) has this exact error on its title page (the Holt binding carries only the author's last name) -- but this is the only copy of Heinemann's UK edition we have ever seen (or ever heard reported) with this misprint. Possibly a unique copy? -- we have no satisfactory explanation for the existence of this solitary copy.~As for condition, it is perhaps very good. The spine lettering is quite faded, and there is a word (name?) faintly visible on the front cover; some of the gatherings stand prouder than others, though this is not so noticeable with a volume with uncut leaves. Hammond B1; Wells Soc. 4; Currey p. 525 (binding C -- no mention of any copies with this misprint). IL CONVITO Editore Adolfo DE BOSIS, Palazzo Borghese, Roma. Volumes (Libro) 1-7 and 9 (out of 12 published). Roma, Gennajo 1895 - Luglio/ Dicembre 1896. First 6 vols. bound, contemp. vellum, original wrappers preserved, nos. 7 and 9 in the original decorated covers, untrimmed (spines with slight damage, otherwise fine); 24 x 30 cm. 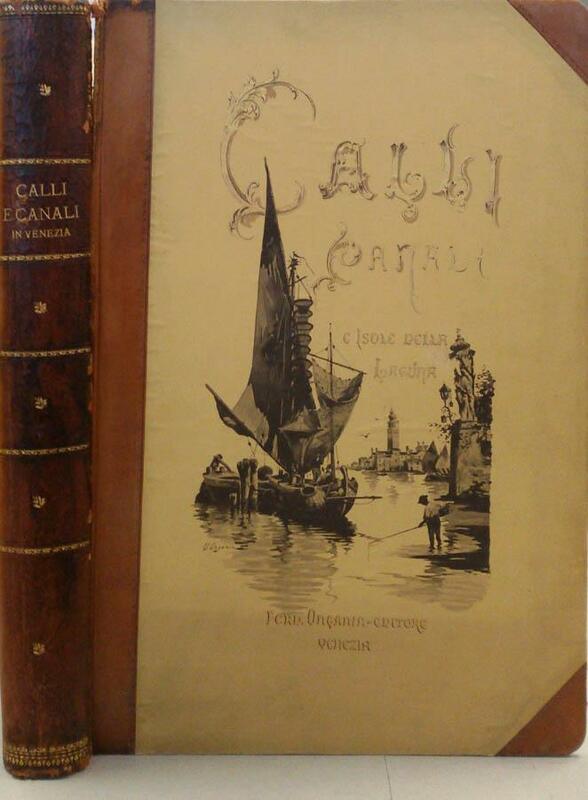 Turn of the century 'decadent' periodical with an important early contribution by Gabriele D'Annunzio. About 60-70 pages per volume, with full-page phototype illustrations. Publication became quite irregular after vol. 9: vols. 10 & 11 were published in 1898 and vol. 12 only in 1907. One page (in vol. 2) with pencilmarks. Le musée de l'Hôpital Saint-Louis. Iconographie des maladies cutanées et syphilitiques avec texte explicatif. Paris, Rueff, (1895). ____ Première édition. Illustré par 50 planches photographiques en couleurs et de nombreuses illustrations dans le texte. Les planches en couleurs, spectaculaires, montrent les moulages de cire de ll'Hôpital Saint-Louis. Premier tirage : Au bas de la page de titre, une mention "1er fascicule" a été imprimée. Au verso du titre on trouve une note des éditeurs. "Cet atlas est une oeuvre pratique..." Cette note a disparue dans le tirage ultérieur. Il n'y a pas de faux-titre mais un feuillet portant "typographie Chamerot et Renouard" se trouve à la fin des feuillets liminaires. Très bel exemplaire. *****. In-folio. [370 x 273 mm] Collation : (2), IV, (2), 346 pp. et 50 planches h.-t. Demi-chagrin brun, dos à nerfs orné. (Reliure de l'époque.). Ottawa Star Nurseries. No. 3280. 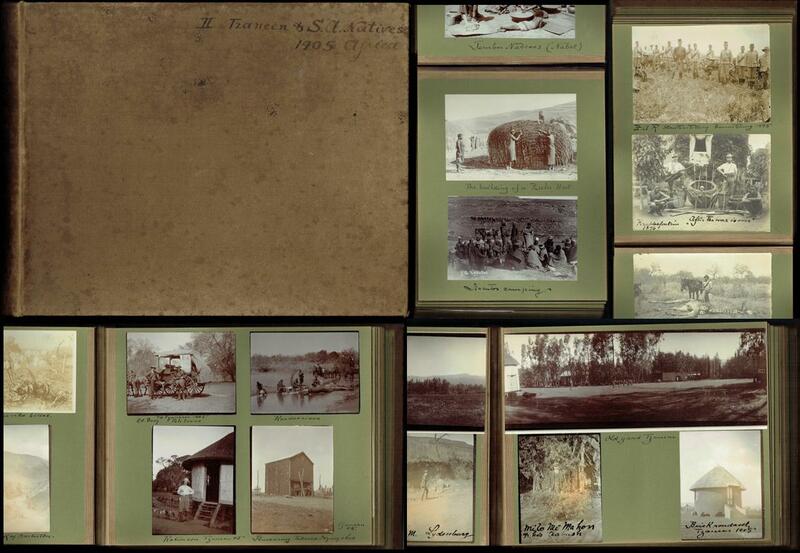 [Specimen book, or salesman's sample catalogue comprised of fine coloured horticultural and floricultural plates]. Ottawa, KS: Ottawa [Star] Nurseries, printed by Rochester Lithographing Co., Rochester, NY, 1895 - Octavo (213 × 140 mm). Contemporary burgundy half skiver, black pebble-grained cloth boards, title gilt to the front board. Typically somewhat used, externally rubbed and soiled, spine eroded and splitting, corners through, joints holding, hinges lined with linen, but the contents remaining clean and sound. 59 chromolithographic plates, 7 hand-coloured Theorem plates, 1 other colour plate. 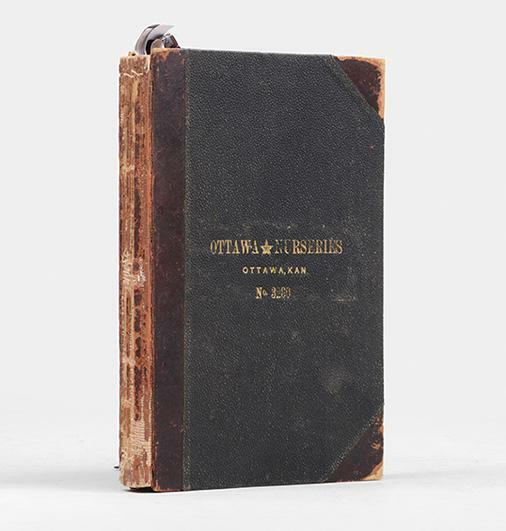 First edition, thus, of this specimen book, or salesman's sample catalogue for the Ottawa Star Nurseries in the 1890s. In the latter half of the nineteenth century, and into the twentieth, Rochester, NY was the centre of the American in the nursery business, and colour printing firms like Rochester Litho., Dewey, Stecher, and Vredenburg, specialised in producing pocket-sized portfolios for nurserymen, or salesmen, tailoring them to the individual local markets, offering different varieties of fruits and flowers in each. Of particular interest in this beautiful Ottawa, Kansas catalogue are the colour Theorem plates - each printed with a number of stencils, in pochoir style, then finished by hand in water-colour, creating a remarkably luminous effect, these include the Missouri Mammoth Quince, the Willard Plum, Japanese Botan Plum, Future Great Peach, Russian Alexander Apricot, and the Early Cluster Blackberries. The catalogue includes chromolithograph plates of varieties of cherries - Large Montmorency, Lieb, Ostheim, Early Richmond - apples - Bismarck, Downing's Winter Maiden Blush, Red Beitigheimer, Missouri Pippin, Wolf River - pears - Garber's Hybrid or Birkett, Seckel, Flemish Beauty, Kieffer's Hybrid, Duchess D'Angouleme - plums including the Burbank Plum developed in the 1890s, grapes - Niagara, Worden, Prentiss - gooseberries, blackberries, the Kansas Raspberry, strawberries - Senator Dunlap, Warfield, Finch - varieties of plants including Altheas, Purple and White Lilac, Roses - Crimson Rambler, Yellow Rambler, Queen of the Prairie, General Washington - Hydrangeas, and spruce trees. The plates were grouped in sections to aid the salesman, or nursery, in showing the prospective customer the best items for them. Since they were such expensive productions, the owners of the specimen books were instructed to not allow customers with dirty hands to touch the books, avoid getting them wet, and if it should get soiled at the edges, have it cut and rebound again. Many nurserymen would rebind their catalogues as often as every two years. This catalogue offers an invaluable reference to the hardy varieties tested on the American Prairie and West in the nineteenth century, entirely different to those typically seen offered in East Coast specimen books (see Kabelac, "Nineteenth-Century Rochester Fruit and Flower Plates" in University of Rochester Library Bulletin, Vol. XXXV, 1982). Frank Haskins Stannard (1857-1922), the founder and proprietor of Ottawa Star Nurseries studied in Jamestown, NY under a number of nurserymen, and in 1879 emigrated to Kansas. Once there he immediately began buying up acreage, eventually accumulating over 500 acres in Ottawa, Kansas, which would not only become the largest nursery and seed supplier in the state, but went on to become the largest in the West. Stannard's client-base was largely to be found in Missouri, Iowa, Nebraska, Kansas, Colorado, Oklahoma, and Texas. By 1900 he was shipping over 45,000 bushels a year, and would later become a Republican State Senator in 1906 and 1908. (Kansas: A Cyclopedia of State History, Vol. III, Part 2, pp. 1030-1). Jude the Obscure. With an Etching by H. Macbeth-Raeburn and a Map of Wessex. London: Heinemann., 1895. First Edition. Octavo. Bound in contemporary red cloth with leather title labels to spine. Darkened to spine, minor shelfwear, a clean robust copy. This is a bound copy of the card wrappered first edition, as evidenced by the presence of the original card wraps bound in at the front and rear of the book. Top edge gilt, internally clean and bright. A handsome and distinctive copy of a classic piece of early science fiction.